The Report Builder click-once application does not exist on the report server. I recently had this issue whilst trying to create a report in SCCM 2012. It seems this issue has manifested post SP1 install. 12/05/2014 Update – note that this change gets reset after an update to R2. You will need to modify the file again. To resolve the problem navigate to the Program Files (x86)\Microsoft Configuration Manager\AdminConsole\bin\ folder. Open the Microsoft.ConfigurationManagement.exe.config file in Notepad or other text editor. 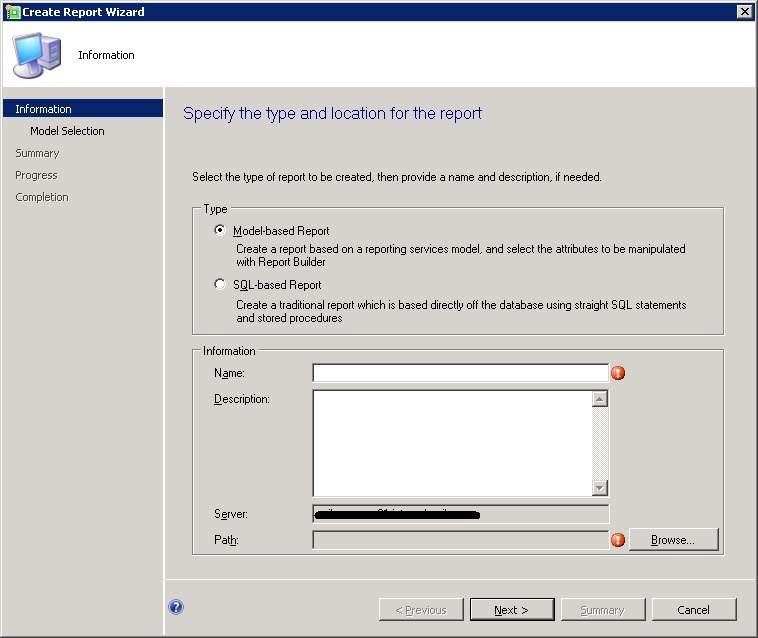 Save the changes to the config file, close down the SCCM Console, if already open, and when you start it back up again you are good to go with Report creation. Thanks Paul :). That fixed my problem! !